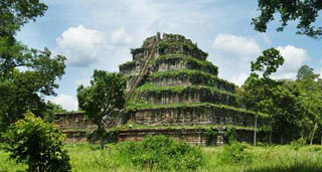 Situated at the top of a 525m cliff in the Dangrek Mountains, is the ancient Hindu temple of Preah Vihear. 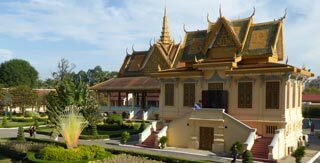 It is an impressive large temple, in a spectacular setting with a commanding view over the Cambodia-Thailand landscape. 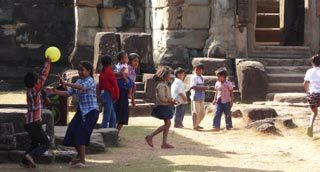 It's also not often visited by tourists, so you are more likely to be there with locals praying. 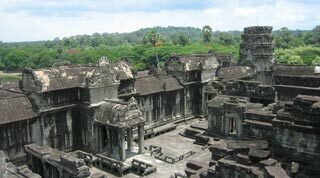 Construction of this 3-level temple began at the end of the 9th century by King Yasovarman I, but very little of that structure remains. 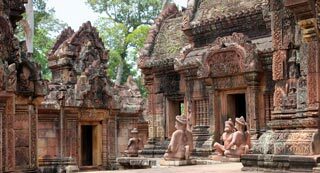 Most of what you see was built by Khmer kings Suryavarman and Suryavarman II between 1006 and 1150. 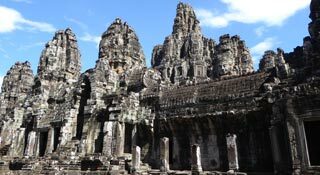 Like many Angkor temples, it represented Mt Meru, home of the gods and was dedicated to the Hindu deity, Shiva. 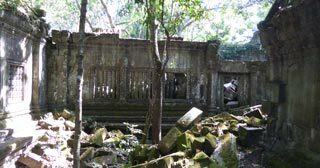 There was a very lengthy dispute over ownership of this temple with Thailand, hence the military presence here. 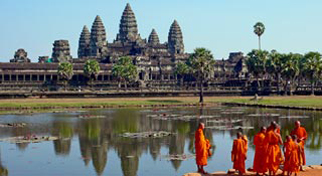 The International Court of Justice ruled in Cambodia's favour in 1962. 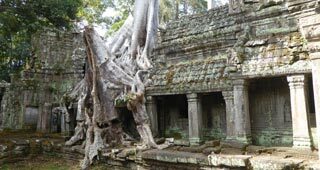 There is an ancient pathway on the east side of the temple that was used for centuries by pilgrims, climbing an 1800m stairway from Cambodia's plains. There is now a 2000+ steps wooden staircase open to visitors running parallel to the original, mostly ruined staircase. It's a long but pleasant walk for those feeling energetic. 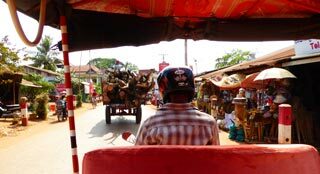 Only a 4x4 or local moto driver are allowed to make the ascent up the steep hill to the temple. A 4x4 can be hired (or use your own) for $25, and a moto $5 return at the ticket office. It's an experience on a moto! 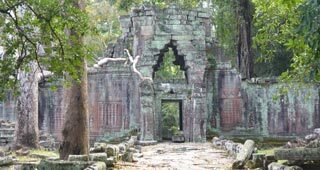 They used to request seeing a passport for entry, although that practice seems to have died off it's advisable to take it. There are places to get food and drink at the top. 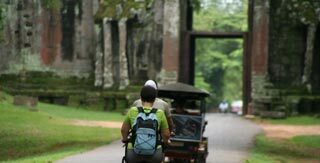 Entry: $10 (Angkor Archaeological Pass is not valid.) 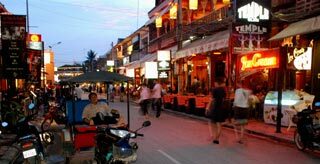 Getting Here: From Siem Reap is best combined with a trip to Beng Melea and/or Koh Ker as it's a 3 hour drive. 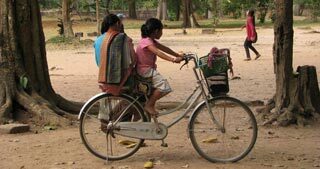 You can do an overnight stay at Sra'em which is 30km away and US$15 by moto-taxi or be done as part of a 2 day tour to all 3 sites.